Cinco Puntos Press, 9781941026915, 246pp. From one of the last fire lookouts in America comes this sequel to the award-winning Fire Season--a story of calamity and resilience in the world's first Wilderness. A dozen years into his dream job keeping watch over the Gila Wilderness of New Mexico, Philip Connors bore witness to the wildfire he had always feared: a conflagration that forced him off his mountain by helicopter, and changed forever the forest and watershed he loved. It was merely one of many transformations that arrived in quick succession, not just fire and flood but illness, divorce, the death of a fellow lookout in a freak accident, and a tragic plane crash that rocked the community he called home. At its core an elegy for a friend he cherished like a brother, A Song for the River opens into celebration of a landscape redolent with meaning--and the river that runs through it. Connors channels the voices of the voiceless in a praise song of great urgency, and makes a plea to save a vital piece of our natural and cultural heritage: the wild Gila River, whose waters are threatened by a potential dam. 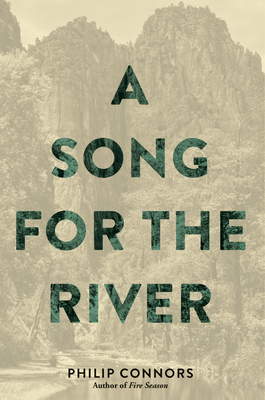 Brimming with vivid characters and beautiful evocations of the landscape, A Song for the River carries the story of the Gila Wilderness forward to the present precarious moment, and manages to find green shoots everywhere sprouting from the ash. Its argument on behalf of things wild and free could not be more timely, and its goal is nothing less than permanent protection for that rarest of things in the American West, a free-flowing river--the sinuous and gorgeous Gila. Philip Connors was born in Iowa, grew up on a farm in Minnesota, and studied print journalism at the University of Montana. Beginning in 1999 he worked at the Wall Street Journal, mostly as an editor on the Leisure & Arts page. In 2002 he left New York to become a fire lookout in New Mexico's Gila National Forest, where he has spent every summer since. That experience became the subject of his first book, Fire Season: Field Notes From a Wilderness Lookout, which Amazon named the best nature book of the year in 2011. It won the National Outdoor Book Award, the Sigurd Olson Nature Writing Award, the Reading the West Award for nonfiction, and the Grand Prize from the Banff Mountain Book Competition. His essays have appeared in Harper's, the London Review of Books, the New York Times Magazine, the Paris Review, the Nation, High Country News, Lapham's Quarterly, and n+1. His second book, All the Wrong Places, a memoir of life in the shadow of his brother's suicide, was published in 2015. He lives in the Mexican-American borderlands.